Cutter Slitter, Cutter Slit – THERM-O-TYPE Corp. Fastest programmable cutter/slitter in the world. Windows based touch screen (10.2″) control. Product collection while the machine is running. Over 4.5 cubic feet of scrap collection capacity. Heavy duty construction with proven components. +/- 0.0005 business card slitting accuracy. – Windows touch screen control. – Job storage and retrieval (up to 500 jobs). – Quick change rotary tooling cassettes. – Pre-configured and auto adjust cassettes. – Inline gutter slit, semi-slit, perforate and/or score. – Gutter cut “chip proof” slitting blades. 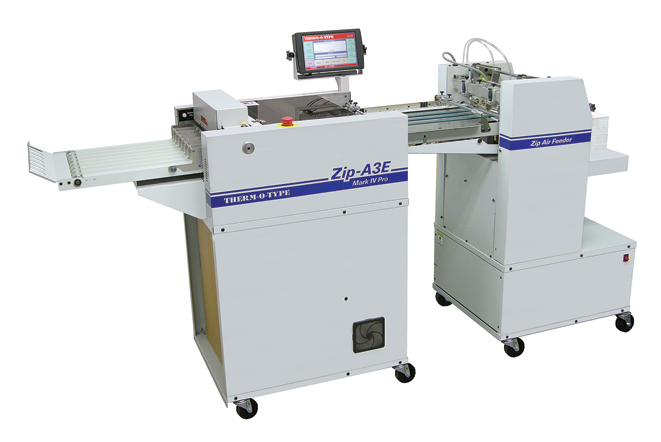 – High precision slitting accuracy. – Adjustable score (depth and width). – 1.7″ minimum cut off length. – 1″ minimum slit width. – Handles coated/uncoated, laminated & UV coated papers. – 14.75″ by 20″ maximum sheet size.